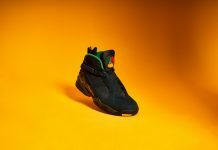 Drakes OVO Air Jordan 8 became the talk of the end of summer and it continues to make noise this Fall with another preview via Levi Brent Lee. 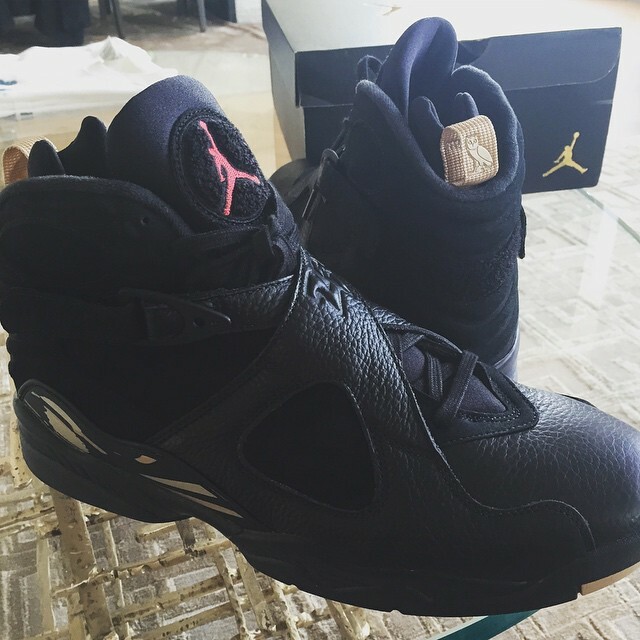 The Toronto restaurant owner and possible friend of drake, showed off the OVO Air Jordan 8 in the Black colorway including the details and leather. As of now, we’ve only gotten word that these are FnF but you never know. 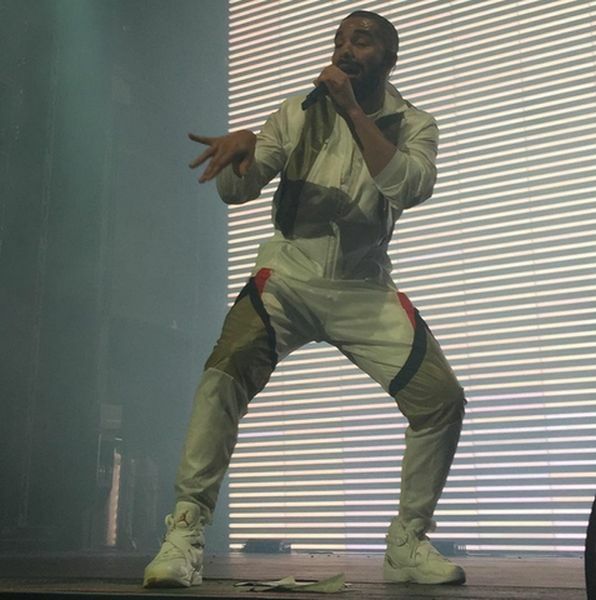 Drake debuted the White / Gold Air Jordan 8 “OVO” colorway during his performance at OVO Fest last night. 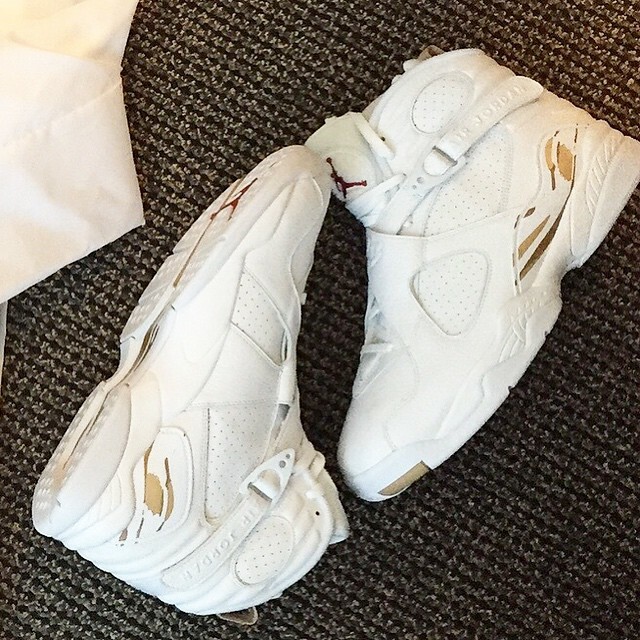 There it is ladies and gents, your first look at the Air Jordan 8 “OVO” featuring a White and Gold colorway. 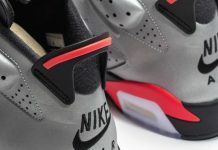 Photos of the black pair surfaced over the weekend and here we have a look at the alternate pair which was expected. Just like the Air Jordan 12, The Air Jordan 8 x OVO will consist of a Black and White colorway rumored to release sometime this year. 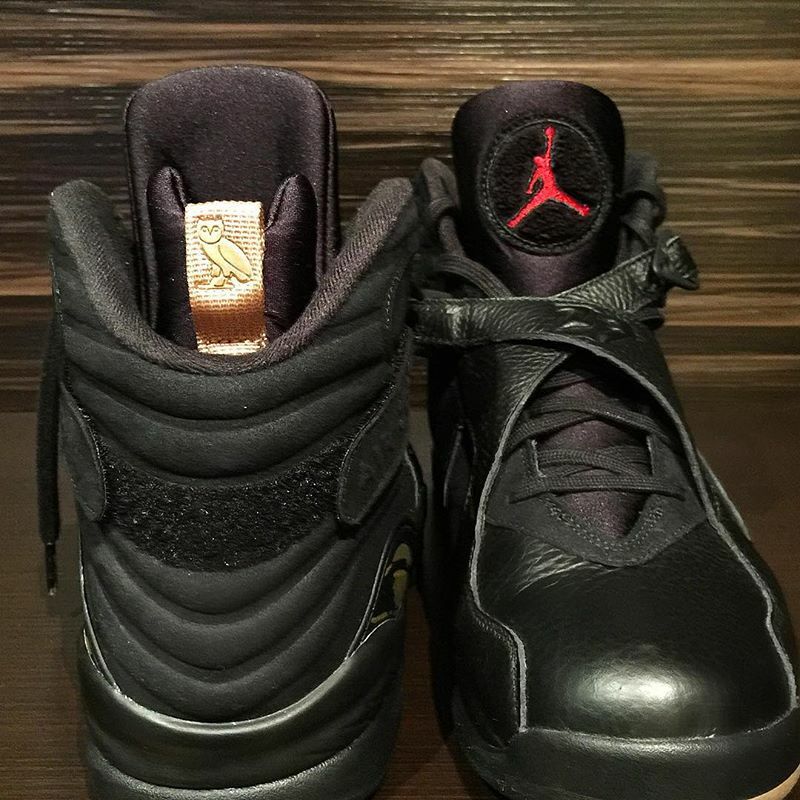 Both will feature OVO Branding and the signature Gold accents. 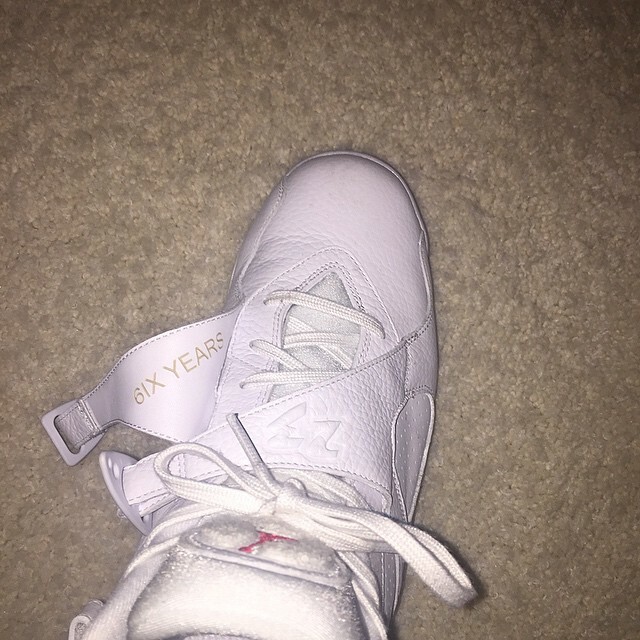 Stay tuned with Modern Notoriety for more news on the Air Jordan 8 x OVO. 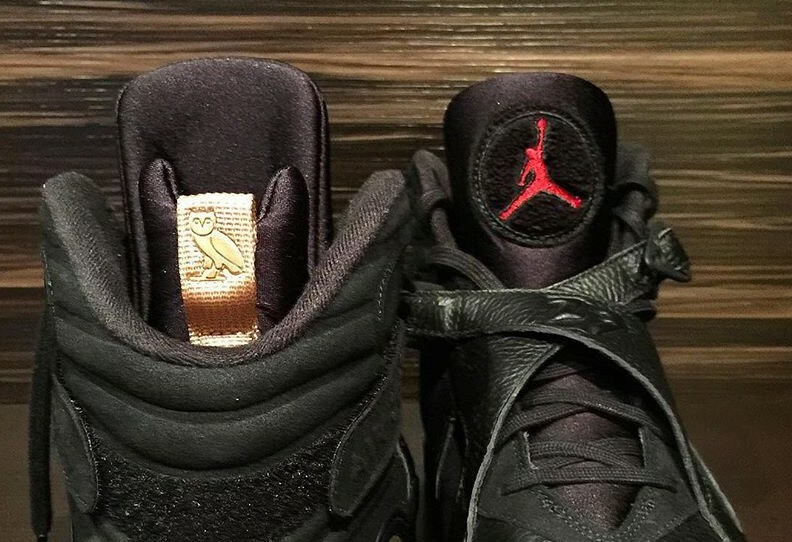 Updated: Here’s a look at the Air Jordan 8 x OVO set in Black and White. 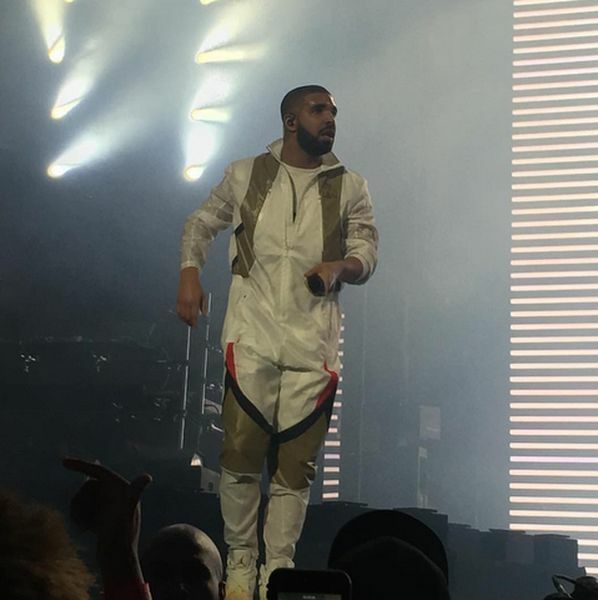 Both feature a solid Black and White tone, with OVO symbols on the pull loop. Nubuck and leather constructs the black pair while a solid white leather makes up for the white pair. Let us know if you’re feeling these in the comments section.